Bacon is a popular type of processed meat that is used widely in many areas especially the west. 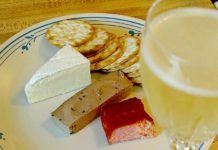 It is mostly made and cured from pork and joined in varieties dishes. Bacon could be produced from side, back or belly cut of pork which the cut from the belly would contain more fat the others. Fresh bacon could be cooked to serve or continues to be dried, boiled or smoked for about weeks to months depend on types. It may be marketed as slices or whole bar and mostly need to cook before eating. For boiled type, it could be eaten instantly or cooked either. Bacon with high quality will have pink or slight purple pink color to the lean layer, white color to the fat layer and is also aromatic. 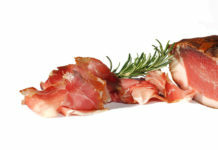 The flavor of it depends on the processing progress for through the smoked curing different types of woods could be used. Corn cobs or peat are also used sometimes. In the recipes related to meat and meat products, bacon is popular used in varieties of dishes such as salads, soups, bakes, fast foods as pizzas, sandwiches, hamburgers…and many others. 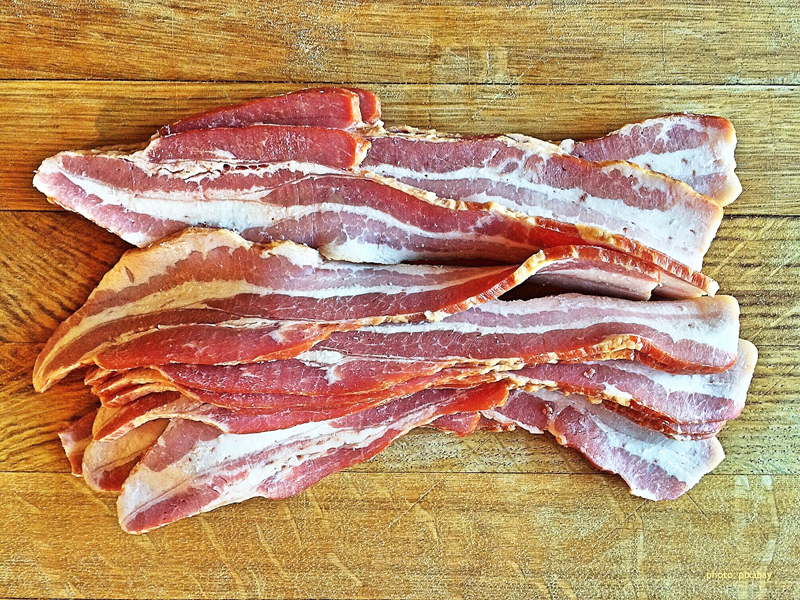 To some cultures, instead of pork, beef, lamb, chicken, goat or turkey are also used to make bacon. In the latter years, especially from 2011 to 2013 there is a phenomenon called bacon mania that appeared in the US and Canada. The sales in US nearly touched 4 billion dollars in 2013. The chocolate – bacon covered dish even produced. 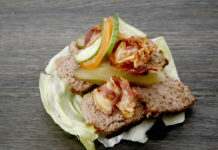 Many recipes with bacon are spread on the internet and a number of the American also supported it to be a national food. This mania was explained as a rebellion of number of young people who considered consuming it as modern and was supported and spread by the media. The population who responded to the mania compared their act as shoving middle finger to the healthy and holy people while getting an unfiltered smouldered cigarette – a truly rebel act. This phenomenon however, is still temporally. It is widely consumed by its own special specification, not anything else.